In 2000, rower Sir Steve Redgrave was named Sports Personality of the Year. This year capped a perfect career for Redgrave who, at the Sydney Olympic Games, picked up his fifth consecutive Olympic gold medal. 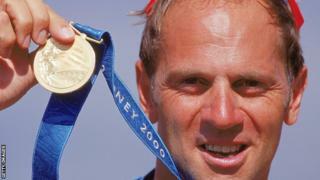 With five gold medals and one bronze, Sir Steve Redgrave is the most successful rower in Olympic history. After retiring, Redgrave was knighted the following year.